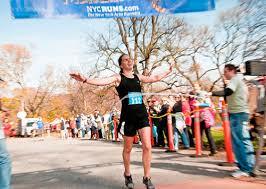 I’d always planned to run the NYCRUNS Brooklyn Marathon the last time it was held entirely in Prospect Park. I can’t say I really wanted to run it (I’m more of a half-marathon guy), but I thought it would be a nice way for me to put a bow on that chapter of the race and my life. As it turns out, I’m not going to be able to check that particular box because the Brooklyn Marathon is moving to the streets this year. That wasn’t exactly the plan—the this year part—but I’m not complaining. I couldn’t be more excited about the new course. My mixed feelings about running the race, the original version, mirror my feelings about the race itself, the product if you will. 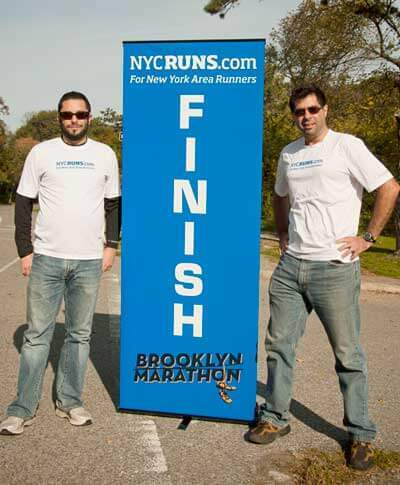 At first, I kind of hated the idea of a Brooklyn Marathon entirely in Prospect Park. In fact, it took me about six months to come around to it back in the early days of NYCRUNS. I thought running a race entirely in the park would be a disaster, though I can’t tell you why I thought that at this point. This was before NYCRUNS offered any race management service and I knew nothing about anything. I hadn’t even volunteered at a race, so what did I know? The Brooklyn Marathon, in fact, would be one of our first races ever, only predated by the now bygone mid-week Riverside Park series. I can recall vividly the meeting at one of my favorite Brooklyn haunts, Pacific Standard, where a bunch of people I only sort of knew from running joined me to drink beer and talk about the possibility of marathon in our borough. Honestly, I’m not sure where the idea came from, but I’d blame Michael Ring, a Prospect Park Track Club board member and a leader in Brooklyn running, who had probably been talking about it for 10 years before I dove deep into the running scene and community. It was Ring and Michael Balbos, another local running leader, who brought experience where I had absolutely none. The takeaway that night was that if this was going to happen at all, it was going to have to start in the park. 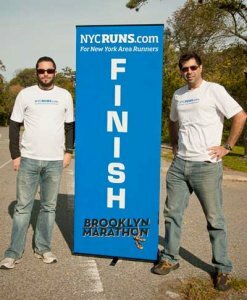 Still, it would be quite a while until I fully embraced the idea, but less than a year later the first Brooklyn Marathon was underway and went off with nary a hitch. I continued to view all those loops in the park with a certain amount of skepticism—would people want to run this thing? Could we pull it off? As it turns out the race would sell out annually and it would go off largely without a hitch each year. Over time, as the Brooklyn Marathon was held each fall in Prospect Park, I grew quite fond of it and began to appreciate it for what it was. I started calling it the Best Little Big City Race in America, and I really believe it lived up to that billing. The atmosphere in the park was incredible. I was often blown away. I always enjoyed biking a loop a few hours after the race had begun. Sometimes I’d bike with runners I knew and once I even did half a loop with a friend. I ran more than one person across the finish line, including my future wife (her first marathon!). It was obvious the energy the runners derived from seeing their friends and family multiple times along the course. North Brooklyn Runners and South Brooklyn Running Club owned those water stations year in and year out and Prospect Park Track Club was always woven into the fabric right back to the beginning thanks to Michael Ring. All in all, it made for a spectacular day in my backyard. Perhaps though, the best part of it, at least for me, was that the day was long, and the pace was slow. There was time to see everyone and spend time with a lot of great friends that came together to help NYCRUNS make history, and who, I dare say, had a good time doing it. After seven years of putting on this unique race, we made a lot of good memories and watched a lot of runners cross the finish line. Make no mistake: I’m beyond excited about this new iteration of the NYCRUNS Brooklyn Marathon, but truth be told, I’m kind of going to miss the race that was.